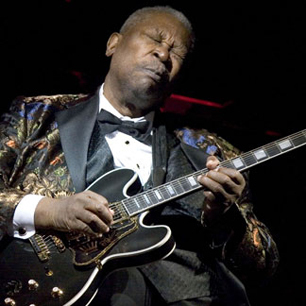 BB King Dies at the age of 89 due to some recent illnesses. BB King was taken to the hospital recently for a diabetes related illness. Born in Mississippi, BB King began his musical career in the 1940s, going on to influence a generation of musicians and work with Eric Clapton and U2. Fellow musicians paid tribute to King including blues guitarist Buddy Guy, who often played with him. “BB King was the greatest guy I ever met,” Instagram. “The tone he got out of that guitar, the way he shook his left wrist, the way he squeezed the strings… man, he came out with that and it was all new to whole guitar playin’ world. Eric Clapton went on Facebook to express his sadness at the death of his “dear friend”. “I want to thank him for all the inspiration and encouragement he gave me as a player over the years, and for the friendship that we enjoyed,” he said. BB King was definitely a staple in the the musical and entertainment world. His sound will be missed!